bCasino was created in Spring 2018 and has since been under scrutiny from the online casino watchdog community. The casino is owned and operated by GS Technology Limited and is specifically designed to target a UK audience. Although boasting an impressive collection of live games, the trustworthiness of this casino is something every player needs to bare in mind, as it seems the company is associated with AffPower. A company blacklisted across the internet. The website is very stylish and appeals to the British patriarch with a large background of Big Ben and red London buses. The red and black theme give a real glamorous casino feeling to the site. The links for each games are all clearly laid out on the homepage and navigation is pretty easy overall. The search tab can be used to search for your favourite games and providers. Although there does seem to be some navigation difficulties when trying to select certain types of games. The casino has an extensive library of over 500 games and multiple software providers such as NetEnt, Evolution Gaming, NextGen, Play’n Go and many others. bCasino offers a variety of different slots, table games, bonus games and live casino. However there is no progressive jackpot games to really get your adrenaline pumping. Trying to find card and table games is also very difficult when you first click on the ‘card and table games’ tab you are presented with around 5 games that are a mix of live games, standard games and also a random slot game. So the choice initially seems to be disappointing. That is until you click on either the roulette or blackjack options on their own, where you are then presented with a lot more choice. However, these are also mixed in with the live dealer options, this appears to be acting as a cover up to hide the fact that they have a limited amount of choice when it comes RNG table games. The same can be seen when you click on the ‘live casino’ tab, where you will be presented first with another random slot game and then the only two poker games bCasino seems to offer, followed by a range of both live and non live games. This game navigation is confusing and disorganised, making the site unattractive particularly for novice players. This is where the cracks really start to seep in bCasino is licensed by the UKGC one of the most robust and trusted licensing bodies. It also uses industry standard SSL encryption and the fairness of their games is monitored by eCOGRA. All of this seems great. However, GS Technology Limited do no provide any information about themselves online as a company, which is okay as there are many privately run casinos out there. It becomes more suspicious though when Oceanbet casino operated by (Game Tech), provided bCasino’s support e-mail on their site, evidence of their association. Oceanbet casino is blacklisted from nearly all casino blog sites, associated with AffPower, casino’s operated under this company were found to be running pirated games from both NetEntertainment and Novomatic. AffPower is an Israeli operated company and it may only be coincidence that all three shareholders of bCasino are both from and residing in Israel. However, it would also appear that the 71 year old company director of GS Technology Limited, also has had at least 19 previous businesses all dissolved or in liquidation. He/she resigned as director from 9 different companies all in the same day, which should send your alarm bells ringing immediately. Suspiciously he/she has not registered with their full name for bCasino, making it harder to find this information. This alone is a massive warning sign. There are also staggering similarities between bCasino features and that of other Game Tech websites. bCasino’s original terms and conditions, stated that there was a £5000 withdrawal limit for every 30 days (after investigation, we found this extremely similar to other dodgy Game Tech/AffPower casino sites). This is irritating if you’re a high roller but even more worryingly is how unethical this is, especially if you’re a jackpot winner. These conditions have since changed to exclude jackpot winnings from such restrictions, but it highlights the unethical nature of the company in the first place. Even more so, the terms and conditions show a predatory side to the company regarding inactivity, where it allows them, after 6 months of inactivity, to debit your account by £5 for each month you do not log in, until your account reaches zero. 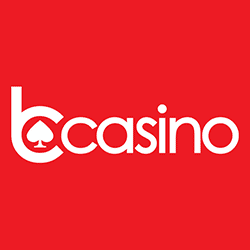 In addition to all these troubling factors, although bCasino offers a live chat option there is no telephone number available and no FAQ section, which are basic customer service needs. Funds are also only protected at the most basic level, so if for any reason the site went bust customers would loose all funds in their account. It is our opinion that customers should stay well away from this site, the association that the casino seems to have with corrupt and immoral companies, in addition to dubious terms and conditions is enough to make anybody uneasy. It is recommended that it is always better to be safe than sorry.